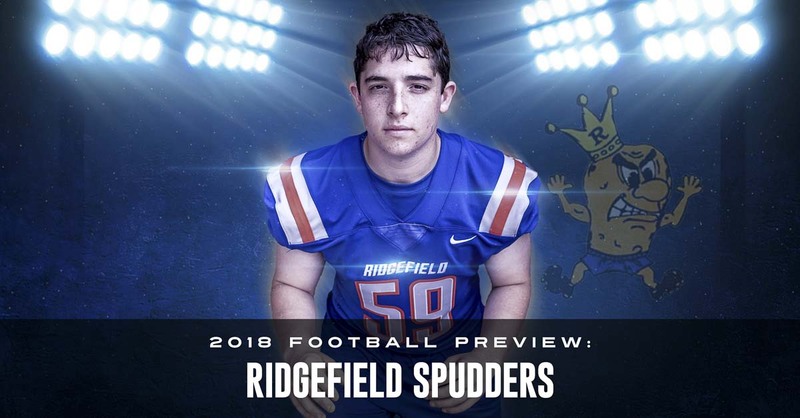 Simon Berkey might be smaller than the typical linebacker but he plays big, plays smart, and is a leader of the new Ridgefield Spudders. Photo by Mike Schultz. Edited by Andi Schwartz. 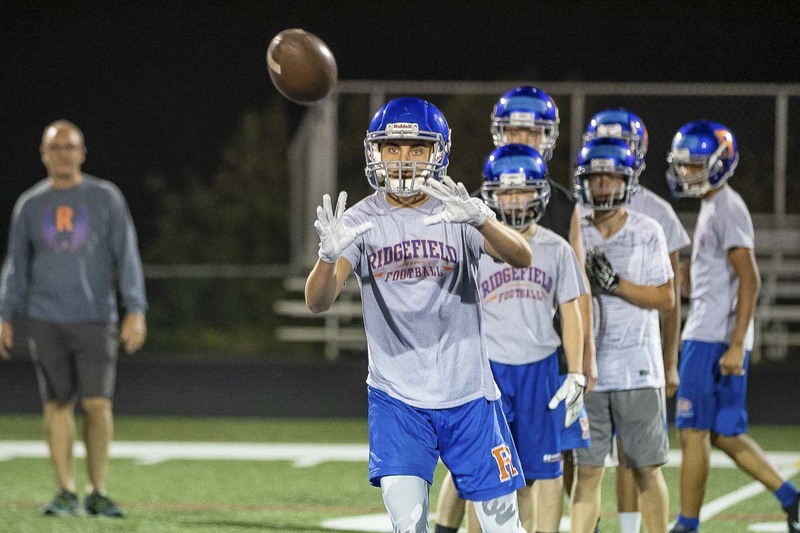 RIDGEFIELD — Simon Berkey knows he does not have “the look” of a ferocious linebacker. He also does not care. 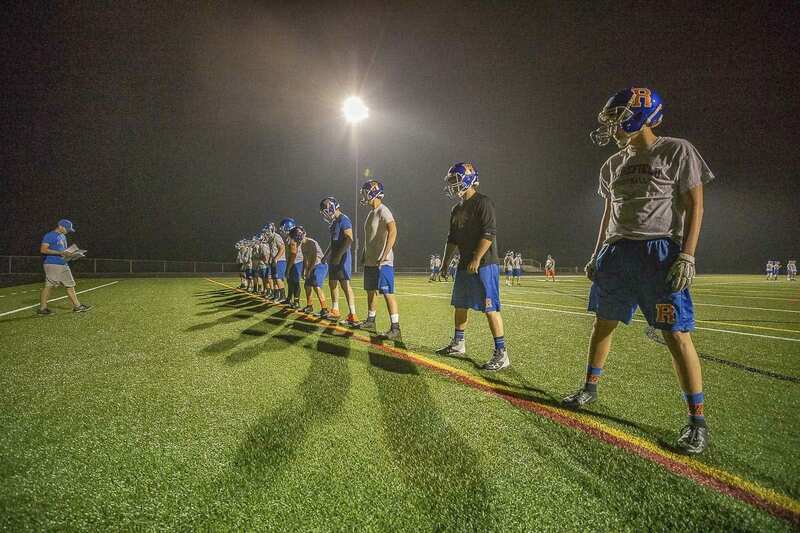 Those words have even more meaning this season for Berkey and the Ridgefield Spudders. 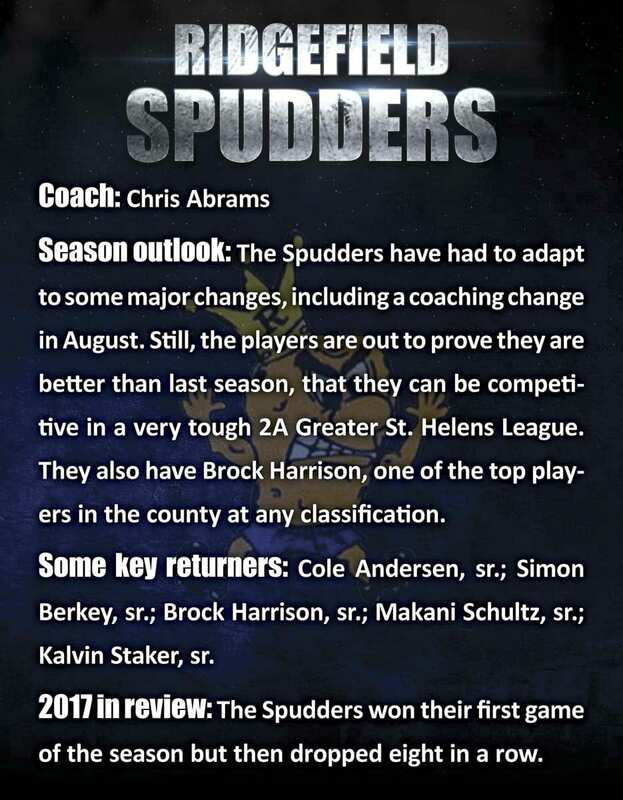 Coming off a 1-8 campaign and a very late coaching change, the Spudders do not “look” like playoff contenders in the Class 2A Greater St. Helens League. Berkey and the Spudders, though, don’t care about anybody else’s opinion of the program. “I 100 percent believe last year will be in the past,” Berkey said. This year, the Spudders are out to prove last year was a fluke, the anomaly. 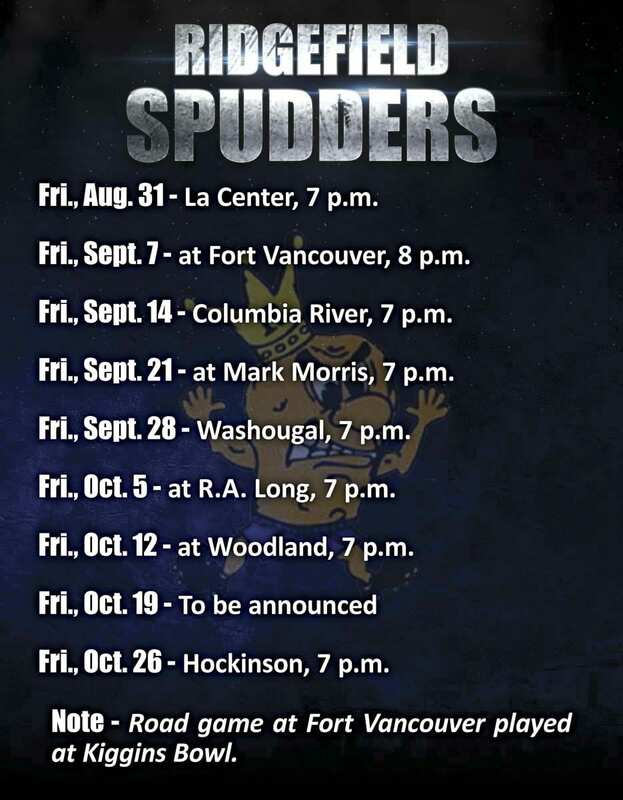 After all, the Spudders won a total of 17 games the previous three seasons. While maybe not a powerhouse, this program is not accustomed to losing eight games in a row. Interestingly, Berkey will be embracing a new coach while using a philosophy taught by the former coach. 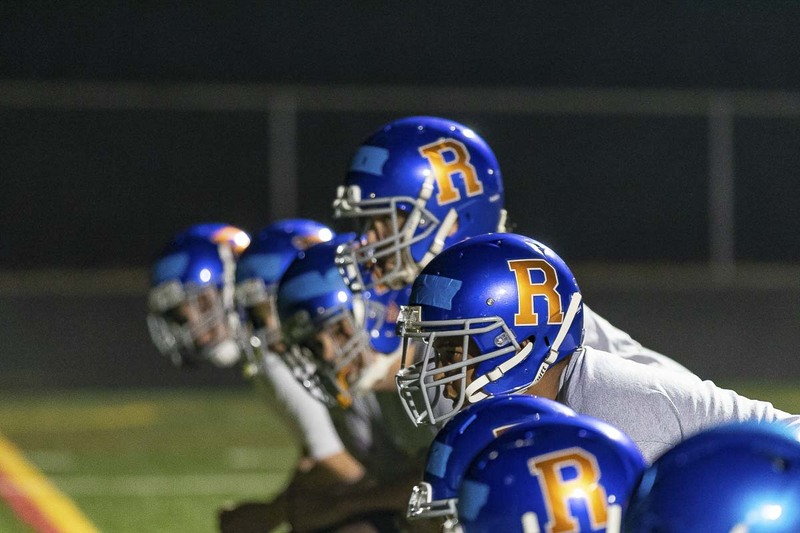 Ridgefield made a coaching change in the first week of August. Out is Kim Ulman and in, on an interim basis, is former assistant coach Chris Abrams. In fact, there is a new vibe at Ridgefield. That burst of energy started the very first minute it could. Abrams and his staff held a midnight practice on the first official day of the season. Out of the darkness, the Spudders appear, the new Spudders, looking to erase the memories of 2017. While this team has some incredible next-level talent — looking at you, 6-3, 235-pound Brock Harrison — the Spudders will also need an undersized senior linebacker who cannot control his height but can control how he prepares to play this game. His commitment to video study matches his desire on the practice field. Last year, though, the field was a nightmare for the Spudders. They won in Week 1 but did not win again. No one wants to endure such a season. Now that the Spudders have gone through that experience, though, it could be a blessing. 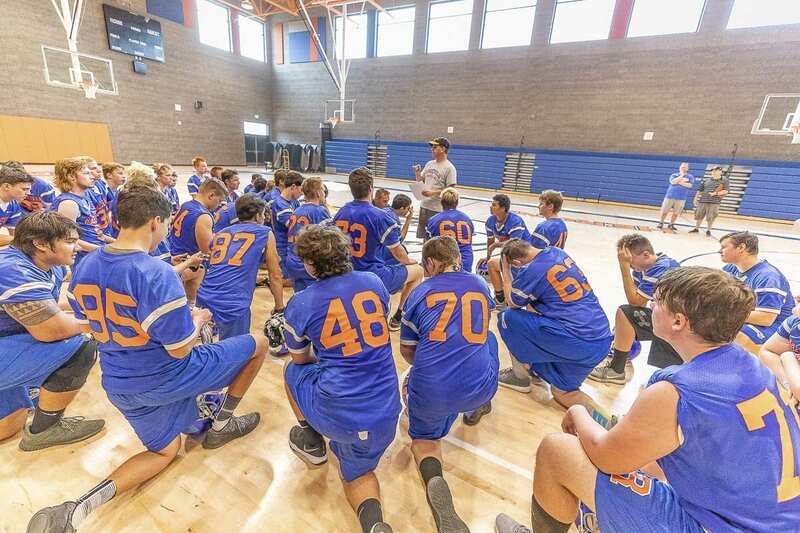 Changes have been made, and now it is time for a change in results for Ridgefield. “It’s going to be crazy. People aren’t going to be expecting anything from us,” Berkey said. “I have never been this excited for a football season in my entire life. We’re going to be one of the most aggressive defenses in the league. Our offense is going to be exciting. We love Coach Abrams. I’m really happy it’s someone we already knew.